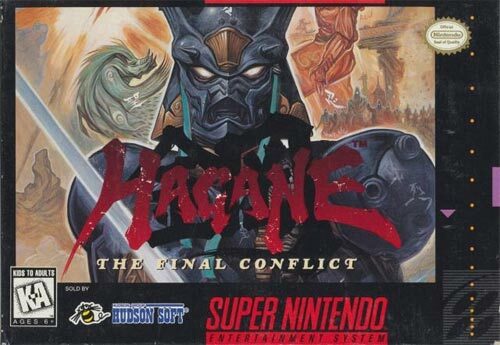 Hagane: The Final Conflict for Super Nintendo tells the story of two such clans the KOMA-clan and the FUMA-clan. These two bitter rivals were constantly at odds until a final brutal war saw the annihilation of the FUMA-clan. All were dead except for one man, Hagane. At the edge of death, Hagane was given a cyborg body and nursed back to health. Now it's time for revenge on the KOMA-clan, which is planning to destroy the world. 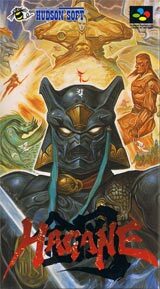 As the title character, you'll be going up against a powerful army that won't hesitate to send you to the afterlife to be with your now-defunct clan.